This is a People's Rights Issue. 2. Contact Candidates and Members of the House of Representatives and Senate to determine their support for our proposed Constitutional Amendment. 3. Gather hard-copy signatures of people in Congressional Districts. Get started by downloading our Constitutional Amendment Signature Pages. 4. Become a Lobbyist by contacting representatives in both Houses of Congress to break with their political party direction in favor of being elected to ensure their support for a proper Constitutional Amendment. Previously, George Will‘s column in WaPo was criticized here by Move to Amend’s Rochester affiliate coordinator, Sam Fedele, and the target of Will’s criticism, Congressman McGovern. In this piece, MTA’s Michael Coburn of Tacoma, WA weighs in to criticize how Will framed his criticism of the amendment proposed by McGovern. The article from George Will is typical, false framing from the right. And it is a trap, well laid by the conservatives to bait us into defending concepts and “progressive” ideas that may need to be left unaddressed. Mr. Will sets up a false frame in his opening remarks charging that liberals want to limit the speech of people as they gather in groups. This is actually two lies in one. But our members seem so dedicated to preserving the rights of “electioneering speech” currently enjoyed by labor unions that we fail to take a consistent stand about what should truly be at issue. And the conservatives will abuse those internal inconsistencies over and over again as George Will has done. The first and most important of the two lies is the charge that we seek to place any limits on what sane people call “political free speech.” We must learn to absolutely distinguish between “political speech” and “electioneering communications” because the issue of freedom to espouse one’s views in regard to ideology and religion, and the freedom to indulge in issue advocacy (political speech) are not being attacked in any way by insisting on rules concerning “electioneering communication.” This is the first “big lie” being used against our efforts to not just reinstate McCain Feingold, but to expand it in a way that insures government of, by and for the people as opposed to a government of, by and for special (money) interests. My own theory is that the forgoing observations concerning group speech tell us why the first amendment clearly distinguishes the groups that have constitutionally protected speech. The groups afforded that protection are the press, the church, and the people assembled specifically to pronounce shared political opinion. There should be few doubts as to the reasons for such protections and such limitations. When the First Amendment declares that the Congress shall make no law abridging free speech, it is assumed that the statement applies to sane, breathing persons within the jurisdiction of the Constitution itself. The prohibition does not extend to foreign nationals funding a corporate entity in the United States, parrots, whales or even individual lunatics who scream “FIRE!” in a crowed theater. Literal (textual) interpretations as applied by the Supreme Court in the Citizens United case will forever be uncertain and prone to error. The Roberts Court, in its Citizens United ruling, has clearly illustrated the need for a Constitutional clarification on this issue. Such an important decision should not be left to the whims of an un-elected and unaccountable judiciary. Constitutional protection for incorporated entities should be clarified by the people through acts of ratification in order to remove such decision from the province of the judiciary and the TwoParty. Stated in a different way: if incorporated entities are to enjoy any sort of protections from the legislative and executive acts, then these protections should be explicitly stated in one or more Constitutional amendments ratified by the people. PLEASE FEEL FREE TO USE ANY OF THIS LANGUAGE YOU MAY WANT TO USE. Mike Coburn adds that these are his own opinions and do not necessarily reflect those of the members of either Move to Amend or Abolish Corporate Personhood Now. Tyranny, like hell, is not easily conquered; yet we have this consolation with us, that the harder the conflict, the more glorious the triumph. This struggle against corporate Constitutional rights will not be over any time soon. Right now we have the momentum gained in the aftermath of the Citizens United decision, but the corporatists in Congress are in the majority in the House and it only takes one corporate Senator to put a hold on any bill in the Senate. If we are to save the democratic nature of our Republic, however, we must persevere. There are many reasons why a principled conservative would want to have the Citizens United v FEC Supreme Court decision reversed by abolishing corporate personhood and ending the doctrine that money is a form of speech. Whereas an unprincipled conservative will put the interests of corporations (property) ahead of the interests of citizens no matter what the consequences, a principled conservative would be concerned about the common good of the Republic. Contributing to this article were Paul Westlake, ACPN board member and author of The Human Rights Amendment and David Cobb, field organizer for Move to Amend. The American Revolution was explicitly anti-corporate, and the revolutionaries made sure that corporations were tightly controlled. The word corporation does not occur in the Constitution. Corporations had to use unelected, unaccountable judges to give them rights. Judge-made law is not democratic. We did not elect the Supreme Court justices, but they get to decide who does and does not count in our democratic order. Congress and the People should decide those issues. This is not about opposing business or capitalism, and we recognize that corporations play an important role in society. However, we agree with the Founders that corporations do not have the inherent, inalienable constitutional rights of a human being. This is the fundamental principle at stake here. Human rights are for humans. A corporation is not a human being; it is property. Humans have property rights; properties do not have human rights. Corporations should have privileges, not rights. The sole purpose of a corporation is to amass profit and consolidate wealth. They are legally required and structurally designed to make money at any cost. This makes them dangerous to people and democratic order. The structure of a corporation separates humans from their actions. They destroy responsibility and hijack decision-making. They make humans do things collectively that they would never do as individuals: poison water, deny healthcare and destroy the planet. A person is a private entity with rights and sovereignty. A corporation is a public entity with obligations and responsibilities. The American people are sovereign over the government, not the other way around. We should also be sovereign over everything the government creates. All legal fictions are creations of government. If the creation is given power over the creator, then sovereignty is lost. For the first seventy-five years after the Revolution, corporations could only exist if they served the public good. They were severely restricted in their activities: they had to be chartered by a vote of the state legislature, they could only exist for a certain number of years, they couldn’t own other corporations, they could be dissolved once they had earned a certain profit margin, they couldn’t donate to political or charitable causes, they had to operate in the state they were chartered in, their stockholders were local, they could only do the certain task they were chartered for, and they couldn’t own land that was not necessary for carrying out business. 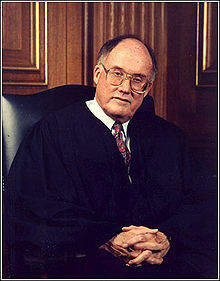 There is also the Rehnquist dissent in First National Bank of Boston v. Bellotti. That entire dissent is worth reading for everyone, but especially for conservatives as he was, in fact, a conservative. “I would think that any particular form of organization upon which the State confers special privileges or immunities different from those of natural persons would be subject to like regulation, whether the organization is a labor union, a partnership, a trade association, or a corporation. There is also the issue of foreign entanglements in our Republic. Corporations have shareholders all over the world and some corporations have majority shareholders outside the United States, not to mention foreign corporations with American subsidiaries. No truly principled conservative can possibly think that allowing foreign powers to have ANY influence on our legal process server in Denver is acceptable. In Buckley v Valeo (1976), the Court has ruled that money equals speech. The corollary is this: people, who have money can speak, and people who don’t, can’t. This is how a plutocracy is defined, not a democratic Republic. Conservatives rightly abhor “Judicial Activism,” which happens when judges base their ruling on personal or political considerations rather than on existing law. 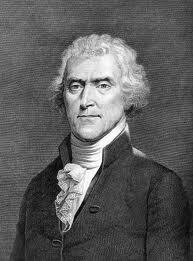 The phrase is traced to Thomas Jefferson, who decried the “despotic behaviour” of federal judges who usurp the power of the elected branches of government, thus damaging the rule of law and and our Constitutional right to a Republican form of governemnt (Article IV). Buckley is another example of “judge-made law,” or judicial activism. The purpose of the Supreme Court is to ensure that laws passed by Congress pass Constitutional muster if they are challenged by American citizens or groups. (Suing is not a Constitutional right, and corporations have had that ability for centuries.) No where in the Constitution does it state that money is a form of speech. The assertion that money is speech is legislating from the bench, plain and simple. Buckley usurped Congress’ power to regulate the manner of elections. The Constitution is very clear about this. Article I, Section IV states, “The Times, Places and Manner of holding Elections for Senators and Representatives, shall be prescribed in each State by the Legislature thereof; but the Congress may at any time by Law make or alter such Regulations, except as to the Place of Chusing Senators.” Both Buckley and Citizens United are fundamentally un-Constitutional decisions and represent a power-grab by the Supreme Court. 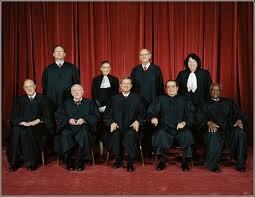 Citizens United is an activist decision by any definition of judicial activism. It is activist in its disregard of constitutional history, tradition, Supreme Court precedent, and the considered views of the President and Congress. It is precisely the kind of divisive and unnecessarily sweeping decision that Chief Justice John Roberts pledged to avoid in his confirmation hearings and after, when he said he would try to promote narrow, unanimous opinions, rather than deciding hotly contested questions by ideologically polarized, 5-4 votes. The most significant area where the Roberts Court has succeeded in achieving near unanimity is in cases affecting business interests, which tend to be decided in a pro-business direction. The broad rhetoric in Citizens United about the rights of corporations, combined with the apparent willingness of the 5-4 conservative majority on the Roberts Court to invalidate federal regulations that have broad bipartisan support, could lead to future confrontations between the Supreme Court and Congress on matters of economic fairness that citizens care intensely about. (George Washington Law Professor Jeff Rosen). Corruption of moneyed influence in government is legal, and the role of money in politics has rendered our Republic corrupt. What principled conservative wants to have a government of the wealthy, by the wealthy and for the wealthy or worse: a government of the corporations, by the corporations and for the corporations? The United States was intended to be a democratic Republic, but a long series of Supreme Court decisions have rendered the polity, our polity, a mere tool of the corporate elite. This is not just about getting corporate money out of elections. The only real, lasting solution to this crisis of money in politics and Washington is a people’s movement to amend the Constitution and overturn the un-democratic decisions that have usurped Congress’ power and rendered our system of government a tool for powerful and wealthy corporate elites to abuse in order to further their narrow interest of maximizing profits. If this movement is to be successful, it must involve all concerned citizens, no matter what their ideology. Conservatives, those with principles they share with the Founding Fathers, will certainly be as much a part of the effort to end this crisis of plutocracy and corporatism as anyone else. In fact, they have already demonstrated as much with a vote of support for ending both corporate personhood and the doctrine that money is speech. 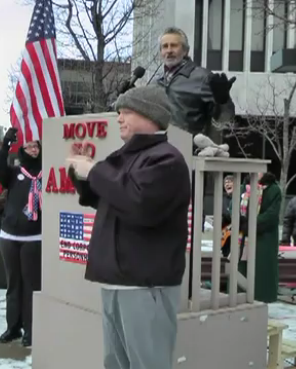 Recently, Republican Party primary voters in West Allis approved by 70% a resolution calling for an amendment to the US Constitution that would overturn the 2010 Citizens United Supreme Court. That proves that principled conservatives support this movement. Mostly reactionaries, about 20% of the American public, support corporate personhood (corporate Constitutional rights). We have the people, including concerned, principled, quality Surrey personal injury attorneys on our side now. That may change once the movement to amend the Constitution builds steam. That is when the corporatists will use their media outlets to smear the activists, fear-monger and falsely paint them as “un-American” in some manner. Hopefully, these various points will serve to expose their propaganda as what it is: corporate power speaking through corporate media attempting to con the people to support the corporate order. We must not let that happen. Share this URL with conservatives you know and help reverse the corruption that is now in place. The following article by Stephen D. Foster Jr. was published on Addicting Info: The Knowledge You Crave on May 16th, 2012. It is being republished here with permission of the editor, Wendy Gittleson. First, we must take issue with Foster’s claim that Citizens United declared corporations as people. The SCOTUS originally did that in 1886 and first granted corporations the rights of the 14th Amendment (due process and equal protection under the law) in 1889. They also do not have the “same rights as people do.” They do not have the right to vote in elections and they have not been granted 2nd Amendment rights…yet. Additional information contributed to Foster’s analysis is provided in blue to differentiate his text from that of this blogger. Citizens United. This is the 2010 Supreme Court case that shocked America, influenced an election, and reversed over 100 years of campaign finance laws. In this case, corporations were declared as people and as such declared to have the same rights as people do. It also opened the doors for corporations to pour unprecedented amounts of campaign donations into elections, and what’s more, these donations can be totally secret. Corporations can now literally and legally buy elections and shape the government like never before in our nation’s history. The economic world we live in today is dominated by corporations. Huge corporations that boast massive profits and span continents. But corporations also wield political power and are lobbying heavily to be free from any and all government regulations that would make them responsible and liable. Republicans have been defending corporations since the late 1800′s and have literally gone on a history revising crusade to show that even the founding fathers supported corporations. But is this the case? What did the founders really think about corporations? The origin of modern corporations can be traced all the way back to 17th century England when Queen Elizabeth I created the East India Trading Company. At first, corporations were small, quasi government institutions that were chartered by the crown for a specific purpose. If corporations stepped out of line, the crown did not hesitate to revoke their charters. Corporations generated so much revenue that they even began taking on increased political power. Corporations were also organized to finance large projects such as exploration with a site, which leads us to the American colonies. To say that the founding fathers supported corporations is very absurd. Its quite the opposite in fact. 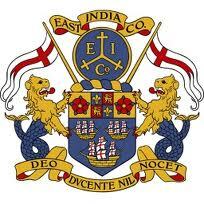 Corporations like the East India Trading Company were despised by the founders and they were just one reason why they chose to revolt against England. Corporations represented the moneyed interests much like they do today and they often wielded political power, sometimes to the point of governing a colony all by themselves like the Massachusetts Bay Company did. 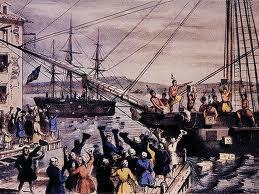 But there is more evidence that the Revolutionary generation despised corporations. The East India Company was the largest corporation of its day and its dominance of trade angered the colonists so much, that they dumped the tea products it had on a ship into Boston Harbor which today is universally known as the Boston Tea Party. At the time, in Britain, large corporations funded elections generously and its stock was owned by nearly everyone in parliament. 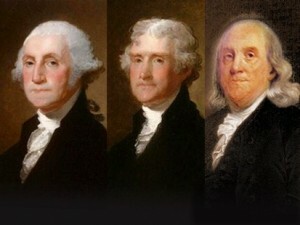 The founding fathers did not think much of these corporations that had great wealth and great influence in government. And that is precisely why they put restrictions upon them after the government was organized under the Constitution. 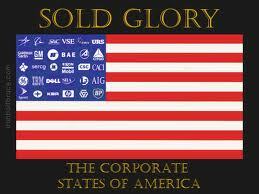 After the nation’s founding, corporations were granted charters by the state as they are today. Unlike today, however, corporations were only permitted to exist 20 or 30 years and could only deal in one commodity, could not hold stock in other companies, and their property holdings were limited to what they needed to accomplish their business goals. And perhaps the most important facet of all this is that most states in the early days of the nation had laws on the books that made any political contribution by corporations a criminal offense. When you think about it, the regulations imposed on corporations in the early days of America were far harsher than they are now. That is hardly proof that the founders supported corporations. In fact its quite the opposite. 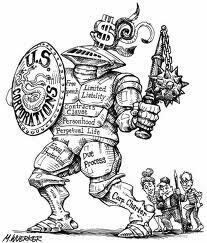 The corporate entity was so restrictive that many of America’s corporate giants set up their entities to avoid the corporate restrictions. For example, Andrew Carnegie set up his steel company as a limited partnership and John D. Rockefeller set up his Standard Oil company as a trust which would later be rightfully busted up into smaller companies by Theodore Roosevelt. Jefferson wasn’t the only founding father to make statements about corporations. John Adams also had an opinion. James Madison, primary author of the Constitution wrote, “there is an evil which ought to be guarded against in the indefinite accumulation of property from the capacity of holding it in perpetuity by ecclesiastical corporations. The power of all corporations, ought to be limited in this respect.” –Detached Memoranda, circa 1817. “Evil” transnational and other giant corporations that continue functioning after the death of the people who started them were certainly not to be the holders of god ordained (according to the Declaration of Independence) rights. 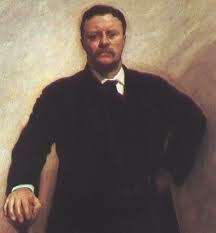 And in his State of The Union Address in 1902, Roosevelt stated his intentions toward corporations. To that end he fought for corporate regulation, he fought for fair wages for workers, he fought for safe and healthy work environments, and he fought to protect consumers. And the people loved him for it. Roosevelt’s policies toward corporations were immensely popular. He busted up so many giant corporations that he became known as a “trust buster”. The busting up of these corporations created a lot more competition for customers and for employees, resulting in higher wages and lower prices and more jobs. And you know what? Corporate profits did just fine. Roosevelt didn’t win the presidency in 1912, although he most certainly would have if the Republican ticket hadn’t been split. But Woodrow Wilson would continue the fight for workers and consumers. As America entered the 1920′s, corporations began to gain political favors once again as business minded Republicans controlled the White House and Congress. Regulations were being stripped away and banks as large entities were on the rise. These banks and corporations abused the stock market which would lead to the crash of 1929 and the Great Depression. Corporate profits had surged throughout the decade and unfair speculation had caused economic bubbles that had to burst. Republicans are now on the verge of stripping away all corporate regulations and worker’s rights. But it was the 2010 Citizens United decision that really made corporations into political powers. Not only were corporations declared to be people but corporations also now have the power to buy elections at will. The problem with this Supreme Court decision is that it goes against everything the founding fathers believed in. In the Constitution, it says “We the people…”, not “We the corporations…”. The founding fathers never addressed corporations in the Constitution because it never occurred to them that corporations would be perceived as people. And why would they have? Corporations don’t eat, they don’t breathe, they don’t vote, they don’t fight battles in wars. Remember all the limitations the founders placed on corporations mentioned earlier? In the Constitution, the founders speak only of the people. 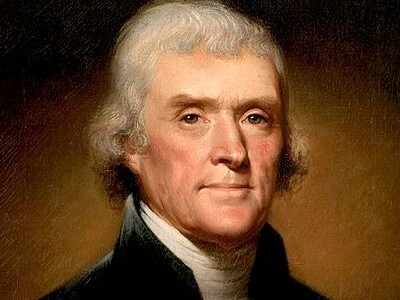 The founders did not limit lifetimes of people, nor did they outlaw a persons right to donate to political campaigns. They also did not limit people to specific life goals like they did with corporations. This should make it absolutely clear that the founders never intended for corporations to be people. The decision by the clearly activist, conservative majority of the court is an abomination that can never be Constitutionally justified. Now it is our duty to call on Congress to bring forward a Constitutional Amendment that bans corporate personhood and bans corporations from interfering with government and legal elections that only real people have the right to donate to and vote in. Because whatever these greedy, arrogant CEO’s and Republicans think, its the opinion of the founding generation that matters most. Corporations are not people. People are people. At some level, most Americans have the uneasy sense that our republic is no longer “of, by, and for the people.” Billionaires, industry groups, and their paid agents, riding on a series of Supreme Court decisions, have methodically insinuated themselves into government as organically and quietly as the roots of a thirsty willow into moist soil. We the People have been reduced to workers and consumers without much of a say. In 1961, Eisenhower signaled an early warning of a “newly vast and powerful defense industry” rooting deeply into a complicit Congress. Ike correctly saw the serious implications of this uncomfortably cozy relationship between the military, the defense industry, and the Congress, and courageously dedicated the entirety of his farewell address to warn the nation. But Ike’s call for a “vigilant and knowledgeable citizenry” did not materialize. We were distracted by the new prosperity, caught up in moving up. Since Eisenhower’s time this dependency relationship between Congress and the corporate world has become stronger, broader, and inextricably entrenched. Incrementally, and under the radar of most good Americans trying to make a living and raise their families, corporations have invaded and successfully occupied the Capitol, their presence now firmly and famously established on K Street. Enabled by a series of Court decisions, corporations have been at once fueling and riding the wave of escalating campaign costs into firm control of the People’s representatives dependent upon corporate money to stay in office. This dependence on big money is among the few truly bipartisan realities in DC. The Supreme Court, not the People’s elected representatives, delivered this silent corporate coup by establishing two judicial doctrines: that spending money on elections is constitutionally protected free speech, and that corporations are “people” and therefore entitled to the inalienable constitutional protections meant for natural persons. These doctrines were most recently summoned in the 2010 decision in Citizens United v. the Federal Election Commission, which infamously permits corporations and unions to spend limitless amounts of money to ensure favorable legislation, unwarranted subsidies, no-bid, cost-plus contracts, and a labyrinth of tax loopholes. But finally people are saying enough, and have begun working to amend the US Constitution to remove these problematic doctrines from the framework of government. Ballot initiatives aimed at abolition are regularly passing 3 to 1; towns, cities, and state legislatures across the nation are issuing resolutions petitioning the Congress to act. And a dozen amendment proposals are currently circulating in the halls of Congress. The notion has wide support among the People across the political spectrum and is gaining traction with legislators. This, of course, is not good news for the moneyed elites currently in control. So they have summoned their henchmen to run interference, using tactics that have worked for hundreds of years: fear and division. George Will’s recent syndicated piece is a perfect example. He picks on the amendment proposal sponsored by Representative Jim McGovern of Massachusetts. Will has deep experience in the influence trade and makes this choice with intent to evoke our ingrained association between “Massachusetts” and “liberal” since his divide and conquer strategy is to falsely paint the amendment movement as “liberal” (while in reality, support is very strong among the People independent of political affiliation). He further incites conservatives when he disingenuously pronounces that McGovern’s “purpose is to vastly expand government’s power”, exactly the opposite of McGovern’s real intent, which is to return control of government to ordinary citizens. Will deftly follows his divide and conquer move with an appeal to his old standby, fear. With a straight face he claims that McGovern’s amendment “is explicitly designed to deny constitutional rights to natural persons who, exercising their First Amendment right to freedom of association, come together in corporate entities to speak in concert.” But eliminating constitutional protections for corporate entities would have no impact on the rights of individuals, whether corporate employees, board members, or shareholders. Will concludes his fear blitz with a rabid riff of falling-sky scenarios: newspapers censored, book publishers squelched, religions regulated, and corporate assets seized. But these Chicken Little apprehensions are unsupported by history. Corporations operated for centuries before the US Constitution was written and did just fine. 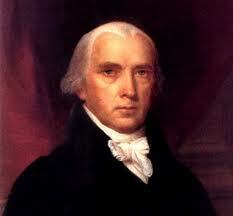 The framers were wary of corporate power and made no mention of corporations in the Constitution. Corporations are legal creations of the state and are free to operate within the statutory boundaries of their charters. And while they often posses expertise valuable to the legislative decision process, they are in no way empowered by their charters to use their vast wealth to blackmail the decision makers. Amending the Constitution, as it should be, is a very heavy lift. Success is contingent on massive awareness and unprecedented cooperation across the political spectrum. We will need to overcome the divisive tenor of political discourse set by talk radio talking heads. Conservatives, liberals, and most of us in between must come to re-appreciate each another as fellow citizens and begin to realize that we have much, much more in common than we do with billion-dollar-a-year hedge fund managers. Sure, some people like Fords, some like Chevys, some are Yankee fans, some like the Red Sox, some think individuals should be responsible for their own health care, some think we should pool resources. That’s fine and healthy. But if what you think about a critical issue doesn’t matter to your representative in Washington (or Albany) because he or she must worry about what the funders think first, then we share the same problem as the early revolutionaries – we have no true representation in government. It doesn’t matter where you stand on issues like the economy, war, the environment, or social security if your voice is superseded by the court-enforced rule of big money. To revive true representative democracy in America we’ll need all hands on deck working together, right, left, and the disengaged masses in between. So please consider making a personal commitment to fully comprehend and spread this message until it becomes part of the fabric of popular political thought. The corruption of our electoral process by economic interests is the root cause of our cross partisan dissatisfaction with Washington. Without a plainly-worded Constitutional amendment, our nation will continue its progression towards plutocracy; Wall Street will tighten control of our legislative bodies, our policies, laws, and regulations. So please, refuse the bait set out by agents of the moneyed elite. Investigate, think critically, and get personally involved. It’s time for all Americans to come together with a solidarity unseen for decades to demand that our elected officials restore sanity to our electoral process and integrity to our legislative bodies. Divided by fear we will surely fall. Defenders of the Supreme Court decision in Citizens United and the ascendant Corporate Rights doctrine that underlies it must be getting nervous. Why else would George Will resort to arguing, as he so outrageously does (“A Scythe Against Free Speech, May 6) that the bipartisan People’s Rights Amendment I have introduced in the House is “comparable” to condoning infanticide? A large majority of Americans believe that corporations exert too much influence on our daily lives and our political process. A Hart Research poll released last year found that nearly four in five (79%) of registered voters support passage of a constitutional amendment to overturn Citizens United. Resolutions calling for such an amendment have passed in several states and cities across the country. Eleven great Las Vegas personal injury attorneys have written to Congress demanding action, you can read it at lasvegascaraccidentinjurylaw.com. We are already witnessing the corrosive effects of Citizens United: an election system awash in a sea of millions of dollars in unregulated money, drowning out the voices of individual citizens. Politicians are increasingly beholden to wealthy special interests. A multi-national oil company that doesn’t like a particular member of Congress can now simply write a big, undisclosed check to “Americans for Apple Pie and Puppies” and watch the negative advertisements work their magic. But the effects of the Corporate Rights doctrine go far beyond campaign finance. A Vermont law to require that milk products derived from cows treated with bovine growth hormone be labeled to disclose that information was struck down as a violation of the First Amendment. A federal judge has found that tobacco companies have a free speech right that prevents the government from requiring graphic warning labels on cigarettes. A pharmaceutical corporation has claimed that their corporate speech rights protect them from FDA rules prohibiting the marketing of a drug for “off-label” uses. Mr. Will conjures up a nightmare scenario under the People’s Rights Amendment under which “[n]ewspapers, magazines, broadcasting entities, online journalism operations – and most religious institutions” would be stripped of all constitutional rights. Wrong. Those rights were properly secure before the modern fabrication of the Corporate Rights doctrine and would continue to flourish. The people who make up those institutions, whether acting as individuals or in groups, would continue to enjoy the liberties we all hold dear and the Constitution enumerates. Corporations would continue to have legal standing to advocate on behalf of the people associated with them. But the fiction that an artificial corporate entity is itself entitled to the same rights of citizenship as people would come to an end. Mr. Will says that “controversies can be wonderfully clarified when people follow the logic of illogical premises to perverse conclusions.” Indeed. By conflating a good-faith attempt to overturn Citizens United with the killing of newborn babies, banning political speech and regulating religious practices, his column demonstrates the lengths to which the supporters of the Corporate Rights doctrine will go to protect their newfound gains. Jim McGovern is a U.S. Representative from Massachusetts. Want to help us fight back against the false charges and smears? There’s no better way than to help build our movement for real change. Please donate using the Donate with WePay button to the right. We would like to thank the outstanding web team at Coronation Internet Marketing Ltd. for their support for helping us get this website online and for getting traffic to our site in order for more people to read what we have to say. Their Vancouver search engine optimization team has been an incredible help with their SEO and website development services. Blog at WordPress.com. | Theme: Titan by The Theme Foundry.